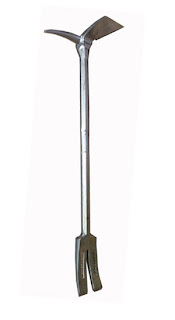 The new Fire Hooks Unlimited, 30" WIDE-ADZ Pro Bar Halligan Forcible Entry Tool is not only a mouthful, but it's chocked full of benefits that make it all the worth while to be a tool your department carries! Length: 30”, weight: 13 lbs. 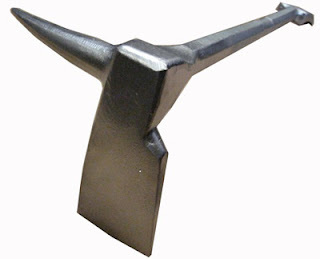 It's a one piece drop forged tool with an extra inch added to the adz making it a 3" width. With this tool you can pry, puncture, twist, cut open, and remove all types of barriers in order to save lives! This tool has the capability to bust windows, doors, get into ceilings and alongside the original PRO bar is proven to be one of the best forcible entry tools out there! To check out this brand new product in more detail, and for pricing and ordering, click here. Looks like a great new tool! I like the widened ADZ, it sure looks like it would gain more leverage and pry things open better. Would definitely recommend this to my department!